IPL 2019: Delhi Capitals beat Royal Challengers Bangalore by 4 wickets, Virat Kohli-led team suffer sixth defeat: The Virat Kohli-led Royal Challengers Bangalore suffered another defeat in the Vivo IPL 2019. The RCB failed to defend a total of 149. It was RCB's sixth consecutive loss in the 12th edition of IPL. Kagiso Rabada (4/21) was named a player of the match. The RCB are yet to open their account in the series. 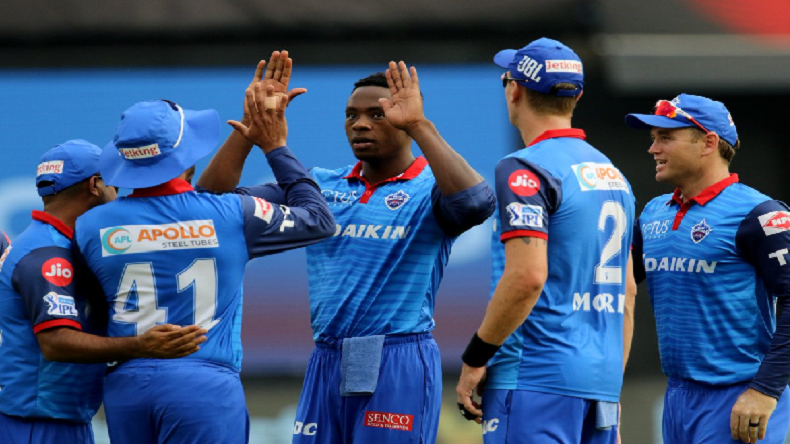 IPL 2019: Delhi Capitals beat Royal Challengers Bangalore by 4 wickets, Virat Kohli-led team suffer fifth defeat: Royal Challengers Bangalore (RCB) lost a sixth consecutive match of the India Premier League (IPL) 2019 on Sunday. This time, it was Delhi Capitals (DC), which outclassed Virat Kohli-led side by four wickets at M. Chinnaswamy Stadium in Bengaluru. Thanks to pacer Kagiso Rabada who stopped RCB from setting a high score. He dismissed skipper Virat Kohli, one-down batsman AB de Villiers, besides other two batsmen. Batting second, the DC needed 152 in the allotted 20 overs. In the very first over, Tim Southee dismissed opener Shikhar Dhawan without troubling a scorer. Prithvi Shaw and skipper Shreyas Iyer managed to propel the score to 69. Before they could proceed, Pawan Negi struck and departed Shaw for 28 off 22 balls. Iyer was joined by Colin Ingram and both took the score to 108 in the 13th over. Ingram lost his wicket on the first delivery of 14th over. He made 22 off 21 balls. The team easily managed to chase the target with seven balls to spare. Skipper scored 67 off 50 balls and helped his team to register a third win in the series. Wicketkeeper-batsman Rishabh Pant also made 18 off 14. For RCB, Navdeep Saini picked two wickets, while Southee, Negi, Mohammed Siraj and Moeen Ali claimed one each. After being invited to bat first, RCB did not get a better start and the first wicket fell for 16 runs. Chris Morris gave an early blow to RCB when he dismissed Parthiv Patel for paltry nine runs. The second wicket, in the form of AB de Villiers, was dismissed for 40 runs in the six over. He could only score 17 off 16 balls. After his dismissal, Marcus Stoinis was departed for 15 off 17 balls. At the end of the first inning, RCB set a target of 152 for 6. Kohli remained leading scorer from his side with 41 of 33 balls. Moeen Ali made 32 of 18 balls and Akshdeep Nath contributed 19 off 12 balls. For Delhi, Chris Morris claimed two wickets while Axar Patel and Sandeep Lamichhane picked one each, besides four dismissals of Rabada. Johannesburg star conceded just 21 runs in his four-over spell.